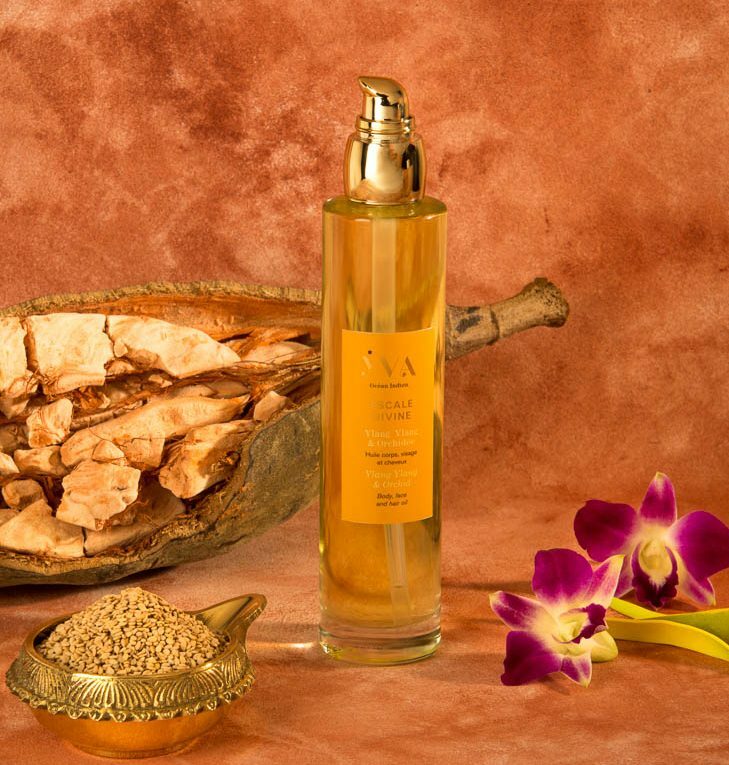 A blend of pure natural oils combined with two majestic flowers that will sublimate skin and hair. Share the post "ESCALE DIVINE"
ESCALE DIVINE is a blend of Sesame, Baobab and Coconut oils in which have macerated hand-picked Ylang-ylang and Orchid flowers. This semi-dry oil reveals their smoothing and antioxidant properties and will nourishes body, face and hair, leaving a subtle fragrance. Results: the skin is perfectly moisturized, the face is regenerated and the hair is revitalized. Ideal for damaged, dry or dehydrated skin, even for oily skin. In Indian medicine, the regular use of oil helps to rehydrate the skin, to disperse the toxins and to improve the dermis quality. 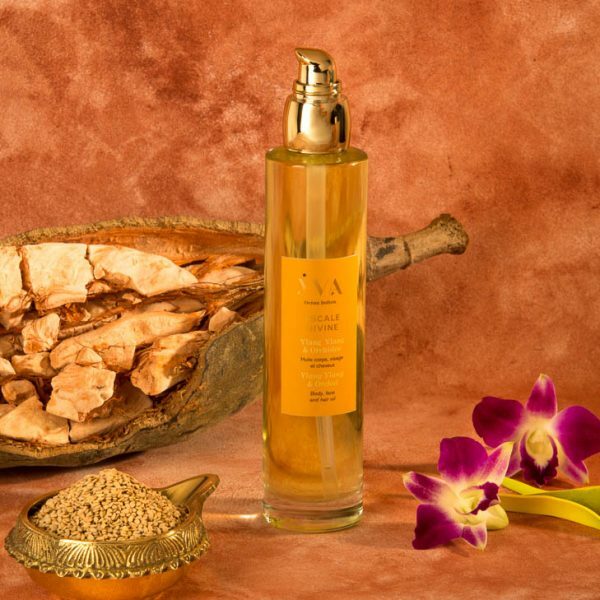 The oil, instantly absorbed by hair follicles, quickly reaches the blood, which is the major vehicle of life and energy. With toning and revitalizing properties. With anti-oxidant and soothing properties. With anti-oxidant and softening properties. With moisturizing and regenerating properties. With protective and nourishing properties. ESCALE DIVINE is a “multifonction” beauty oil that repairs and softens skin and hair in all seasons. Apply to body, in the morning or evening, after shower. Apply to hair like a hair mask before shampoo, on dry ends and massage the scalp. Leave it for twenty minutes. Apply to face like a serum for a deep hydration and for an anti-oxidant effect. We offer you a bookmark to cut on the back of your case. 1- After removing the bottle from the case, remove the white protective shim inside. 2- Carefully peel off the case from the inside in order to put it flat. 3- Follow the dotted lines to trim your bookmark. 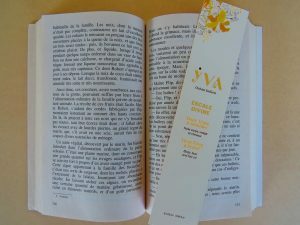 Good reading with YVA Océan Indien ! 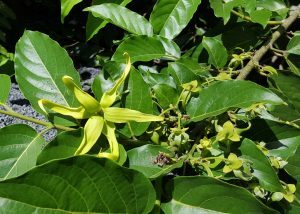 The picking of Ylang-ylang is traditionally hand-made. The beautiful yellow flowers are then carefully put in a basket made from coconut leaves. The flowers are used for the distillation of the famous essential oil made for perfumery or traditionally macerated in oil for softer fragrance and properties.